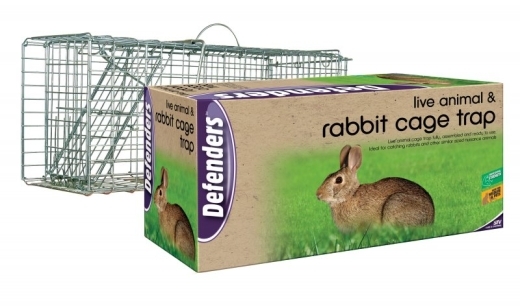 Rabbit Cage Trap. 60cm x 19cm x 19cm. Poison free ready for use. Folds flat. For relocating or humanely disposing of rabbits. Traps must be checked regularly.